Home / Blog / Olive Oil & Plant Uses / Olive Oil: It’s Good for the Brain! Many studies have illustrated how extra virgin olive oil can help to curb the incidence of heart disease and various other circulatory conditions. Now studies are also showing that olive oil is just as good for the brain as well. 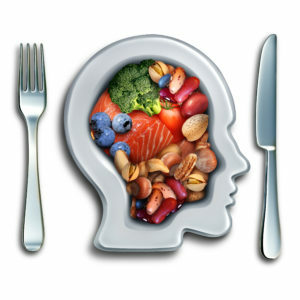 A few recent studies resulted in positive effects of the Mediterranean diet in terms of improving cognitive function. The Mediterranean diet is the diet consumed by people in countries like Italy, Greece and others along the Mediterranean sea region that heavily features fish, olive oil, nuts and certain vegetables. The study was published in Frontiers in Nutrition and evaluated a total of 135 studies published between 2000 and 2015 relating to cognitive function and the Mediterranean diet. The researchers then selected 18 of these studies based on strict criteria, 13 of which concluded that following a Mediterranean diet led to a slower cognitive decline, improved overall brain function, and a lower risk of Alzheimer’s disease. Olive oil is the main source of fat in a Mediterranean diet, as opposed to butter and other types of oils commonly used in the United States. The Mediterranean diet has a low dairy and animal protein intake, in general, opting instead for higher consumption of fruits, vegetables, and legumes. Therefore, the Mediterranean diet provides people who follow it the opportunity to change some of the risk factors associated with certain eating practices. This includes reducing the amount of inflammatory responses to which they are exposed, increasing their intake of micronutrients, improving imbalances of minerals and vitamins, maintaining weight, changing lipid profiles by using olive oil instead of other types of dietary fats, improving polyphenol counts in the bloodstream (another benefit of olive oil), and improving the overall level of cellular energy metabolism in the body. 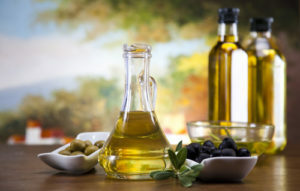 While further research is needed, it is yet another indicator that the Mediterranean diet and, specifically, olive oil, can be used to combat some serious health problems common in the United States. For more information about the health benefits of extra virgin olive oil and why you should choose My Olive Tree, we encourage you to reach out to us today.